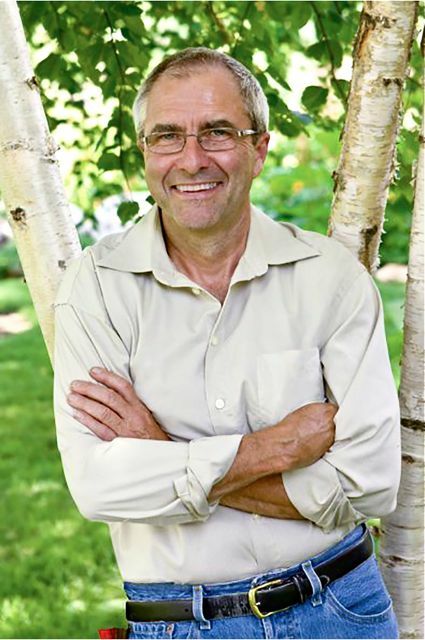 The Hardy Plant Society of Oregon is proud to host Bill Noble, former Director of Preservation for The Garden Conservancy, is uniquely positioned to tell us about the incredible gardens that have influenced him in his work as a garden designer and preservationist. In Bill’s own words, “The gardens that inspire me most are those of extraordinary plantsmen and women who have grasped the raw material of a site and through their engagement with place have created gardens both eloquent and useful.” He surveys historic and contemporary gardens with “a place for the genuine,” and shares with us the lessons of those gardens. And the creation of these gardens, Bill speaks about how these durable gardens are being sustained today. His talk sows the seeds of a panel discussion that follows. Bill is joined by Bobbie Dolp and Gretchen Carnaby from Lord & Schryver Conservancy in Salem. They’ll describe the grass roots effort that led to the purchase and preservation of Gaiety Hollow, the garden and home of Elizabeth Lord and Edith Schryver, iconic landscape architects. Join Bill for this insider’s tour of superb gardens, and learn more about an extraordinary one that’s in our own backyard! instrumental in the preservation and restoration of dozens of gardens throughout the U.S. Working with individual garden owners as well as public and private organizations, I provide the expertise and direction needed to preserve and restore gardens and to promote best practices in successful garden management. As a garden designer, I work with clients to create new gardens or to restore and rehabilitate existing ones. I have overseen the restoration of many significant American gardens; my hands­-on style and knowledge of plants, design, and maintenance contribute to the creation of gardens of lasting quality. The insights gained from the gardens and gardeners I’ve worked with are reflected in my own garden in Norwich, Vermont, which is included in the Smithsonian Institution’s Archive of American Gardens​ and has been featured in Martha Stewart Living,​​ House & Garden,​ and ​The New York Times. As a contributing editor to The Gardener's Garden (Phaidon), I lecture widely on garden history, design, and preservation. Event Notes: Cost for HPSO members is $20; non-members $30. Register Here. Free parking in PSU Lots 3 and 1 (please do not park in a reserved space).